New Year's resolutions are made to be broken, right? So, why not use the time to create a bucket list of ‘Things To-Do’ for 2018? Choose a dozen challenges (one for each month), twelve hobby or craft courses, twelve differently themed restaurants, twelve adventure activities or anything else that blows your hair back. Don’t stop doing anything, just start doing more! With this thinking in mind, we’ve created a Top 12 Bucket List for you - compliments of De Hoop Nature Reserve. Top of the bucket list for 2018 is undoubtedly a visit to the last surviving committee of Cape Vultures that have made their home in the Potberg Mountain Range in the De Hoop Nature Reserve. 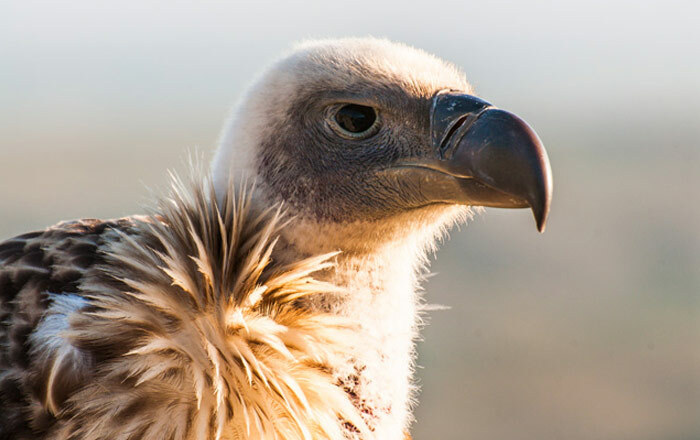 The vultures roost in the surrounding cliffs and gorges, and the committee has grown to an impressive number of around 200 vultures since CapeNature embarked on raising awareness and educating local communities as to their importance. A guide will lead you along a fynbos encrusted hiking trail to a viewing deck where you can marvel at these huge birds of prey. Serious bird lovers are in for a treat because the territory is shared with Verreaux's Eagles, Peregrine Falcons, Jackal Buzzards and Rock Kestrels which all make for a memorable viewing experience. 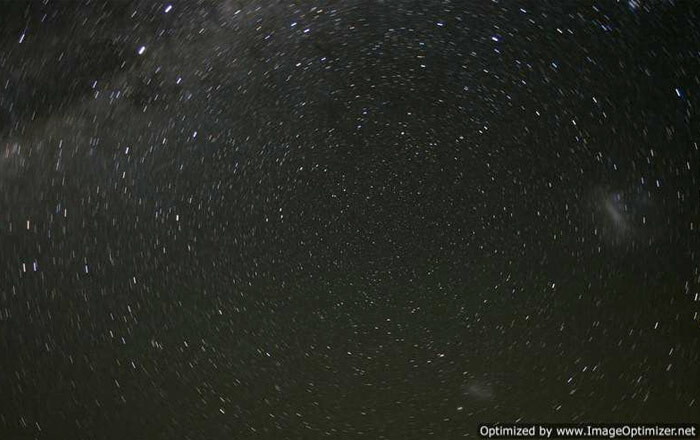 February is the month of love and what better way to spend it than at De Hoop Nature Reserve with your sweetheart, perusing the night sky. This stellar activity is a must for all those with a passion for cosmology, planets, constellations, asteroids and romance. Grab a blanket and your star hopping guide and be prepared to have a cosmic experience that you and your Valentine will remember forever. The warm lazy days of March are perfect for leisurely picnics under the shade of one of the massive old fig trees that dot the area around De Hoop’s Fig Tree Restaurant. 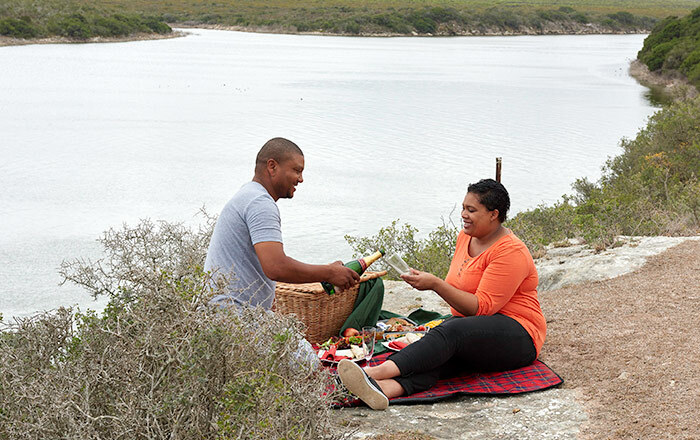 If you would rather enjoy a more secluded picnic, then find a spot overlooking the vlei or head for the dunes and sandy white beaches at Koppie Alleen, where you can enjoy quality time with family and friends as you reconnect with nature. Choose between a guided eco-quad biking or MTB trail that will take you through a floral kingdom of indigenous fynbos and past buck, birds and baboons as well as other game species. 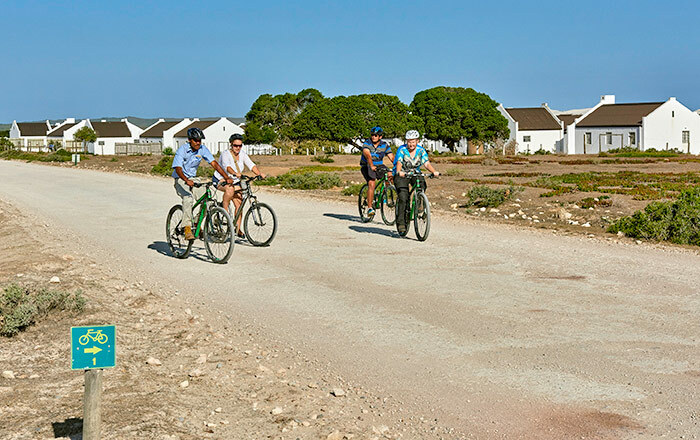 This one to three hour ride takes place at an ecologically friendly pace, and you will learn more about the less obvious natural and historical aspects of De Hoop Nature Reserve. The month of May is the perfect time to explore De Hoop and reflect on all the bountiful treasures our awesome planet has to offer. 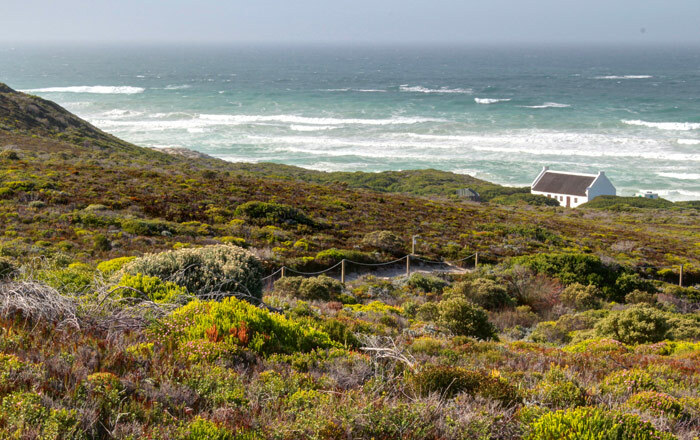 De Hoop Collection is situated in the heart of the Cape Floral Kingdom which is one of only six floristic kingdoms and is classified as a World Heritage Site. Situated at the southern tip of Africa, the Cape Floral Kingdom is the only floral kingdom to be fully contained within a single country and it has the highest known concentration of plant species in the world. An incredible 70 percent of the Cape’s 9,600 plant species grow nowhere else on our planet but here. 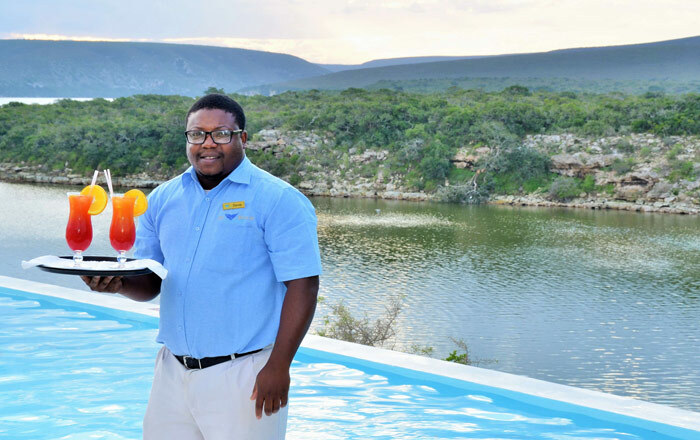 The focus is on quality time as you take a winter break with the whole family at De Hoop Collection, the ultimate family getaway. Discover nature as you embark on entry-level walks and biking trails (complete with kiddies MTB’s). Challenge each other to friendly matches on the tennis court followed by a dip in the swimming pool for those brave enough to take the plunge in winter ! 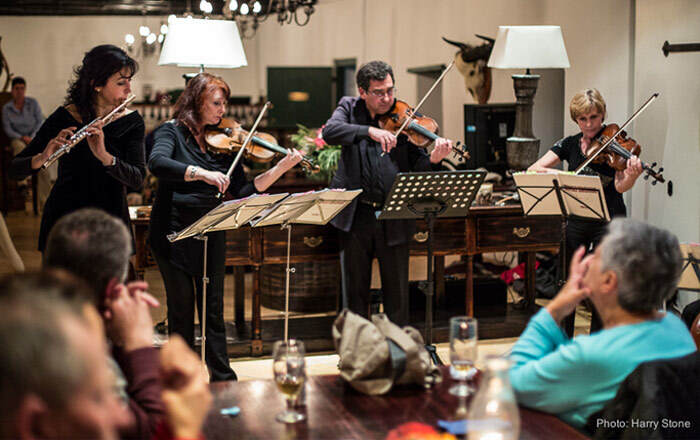 The month of July brings with it De Hoop’s much awaited, ‘A Weekend of Wine, Whales and Music’! Pack your bags and escape for a fun-filled weekend, as you celebrate the arrival of Spring. Grab a glass and sample internationally acclaimed wines from top wine estates in the region, while you snack on platters of delicious canapés. The soundtrack is the Johannesburg Philharmonic Orchestra and the setting a pristine 34,000 hectare nature reserve. Round the weekend off with a visit to the beach in the company of a marine biologist, where you will enjoy a highly educational look at marine life. 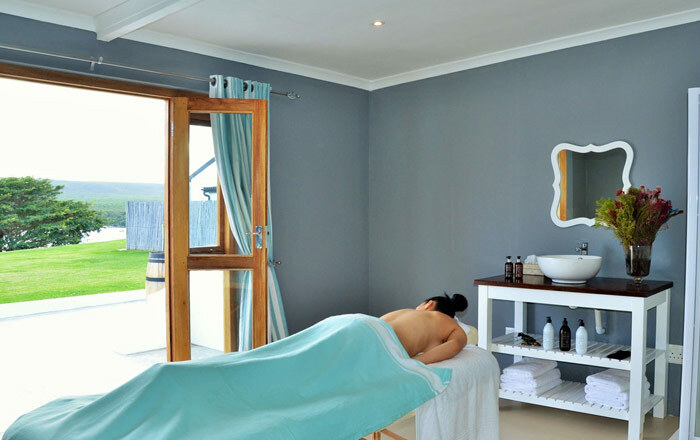 De Hoop Spa offers guests the opportunity to pamper themselves - body, mind and soul. Indulge in some major grooming and treatment sessions brought to you by a team of highly experienced therapists. De Hoop partners with ELEMIS to harness the power of nature and science to transform your skin with their eco-friendly range, fragranced only with pure essential oils. This one is not just for the ladies and is perfect for couples needing some TLC and a relaxing break. In between visits to the SPA, you get to cosy on up around a roaring fire and spend some quality time unhurriedly observing the wildlife that peacefully interact and roam freely around the main accommodation area. De Hoop Vlei is a Ramsar wetland which is of great international ecological importance as well as a must-visit for any keen nature lover. This is where much of the game of De Hoop congregate at different times, and this vast stretch of water lures visits from otters and porcupines. 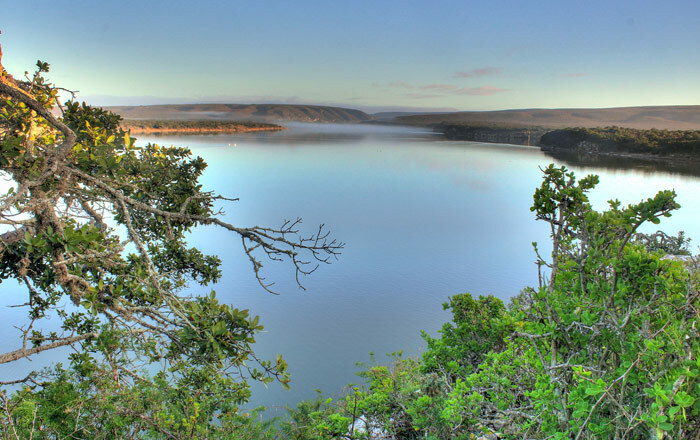 The De Hoop Vlei Trail is 19 km long and for those who want to enjoy this awesome ecosystem in a less strenuous way, there are eco boat tours on request. 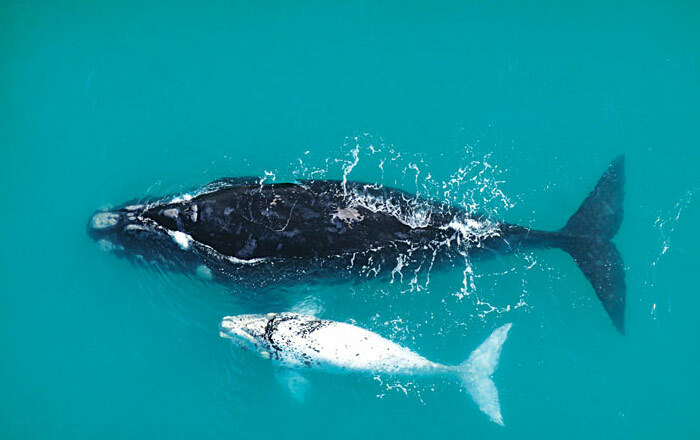 Each year Southern Right Whales flock to the Cape South Coast and during the months of June through to December the coastal cliffs, dunes and beaches offer visitors to the area front row seats to one of the greatest shows on earth. These gentle giants pass their time nursing their new born calves and happily cavorting with each other, only metres away from the shore. 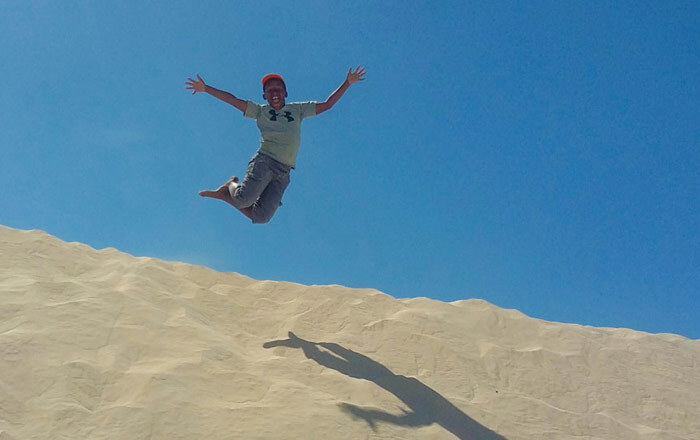 De Hoop is known as one of the last places where nature lovers can observe these modern day giants without the distraction of throngs of tourists and the sound of traffic. It's just you, nature and the majestic Southern Right Whale. 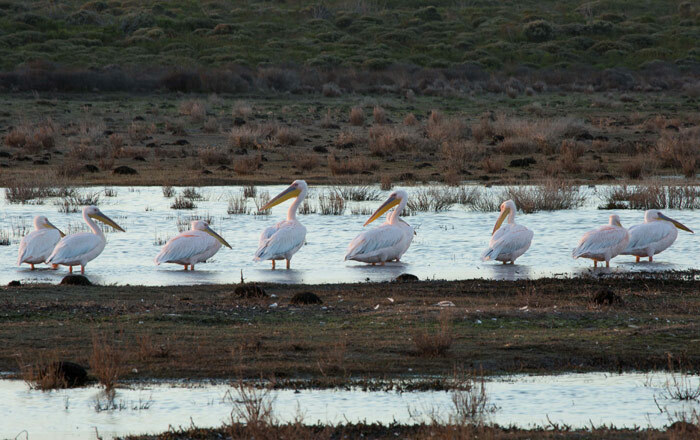 There are over 260 species of birds at De Hoop and the challenge is to mark as many of them off the De Hoop bird, mammal and marine checklist as possible when you go on a guided field trip on a nature spotting adventure.